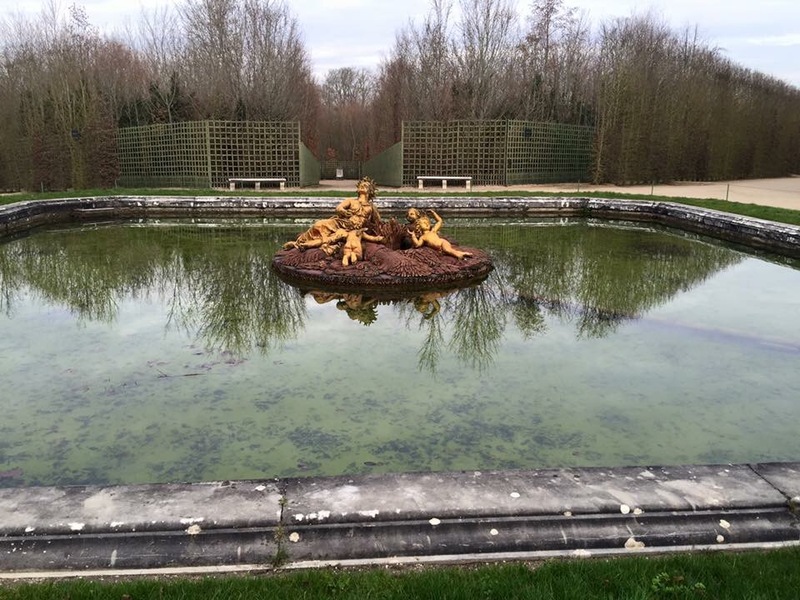 The Versailles garden took 40 years to complete. 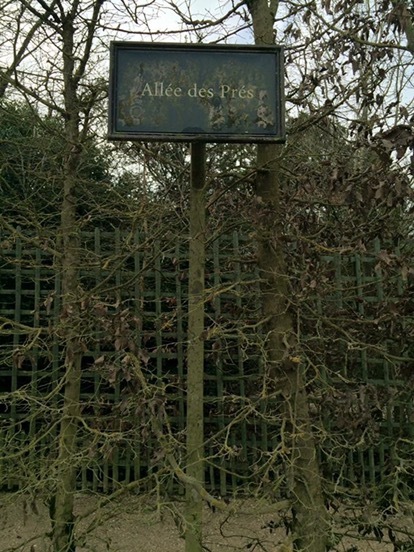 It was designed by Andre Le Notre. 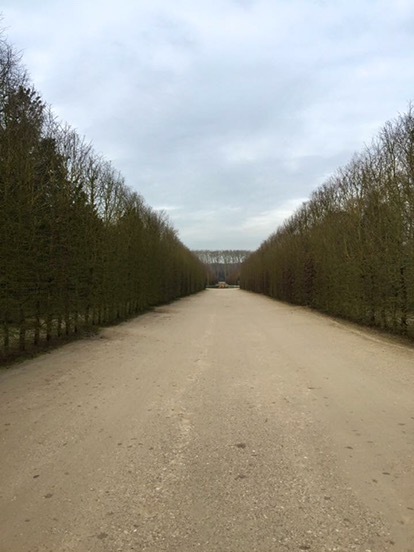 The garden covers 800 hectares of land. 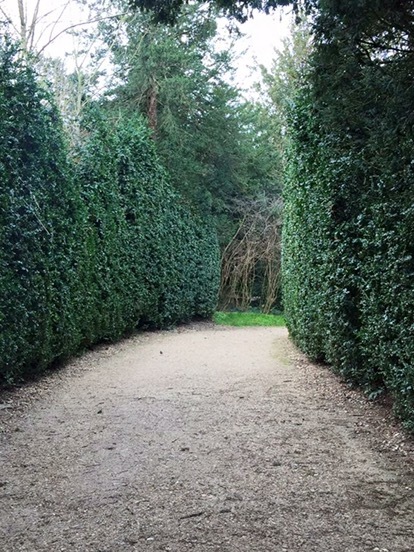 There are 200,000 trees and 210,000 flowers planted annually, as well as 50 fountains. My mother and I parted ways after the tour of the palace. 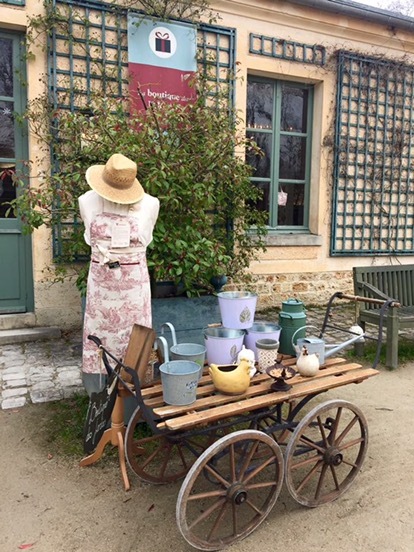 She went back to town to check out the shops while I went ahead to the garden and the Grand Trianon. 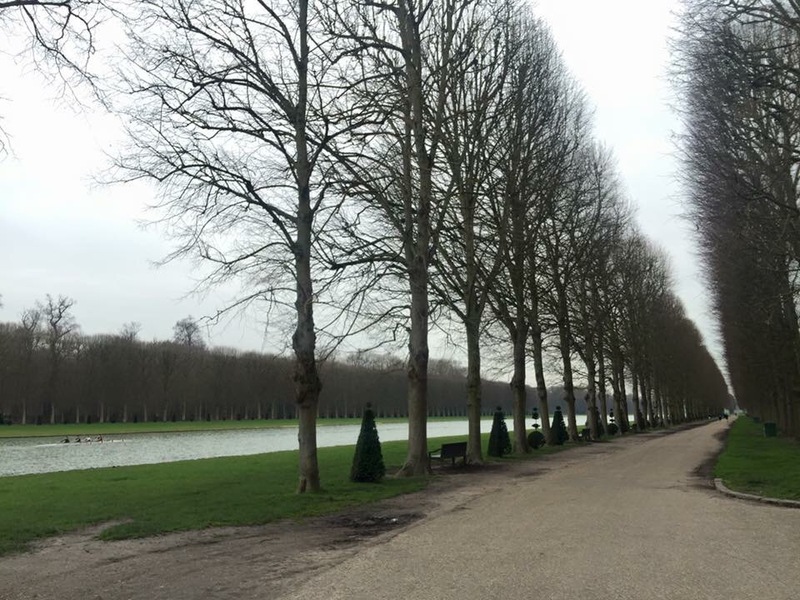 From the palace, it takes about 30 minutes walk to reach the Grand Trianon. I enjoyed the walk so much I think it took me a couple of hours walking through the beautiful gardens, and on a freezing day at that. I found this snack bar called Angelina right outside the palace. 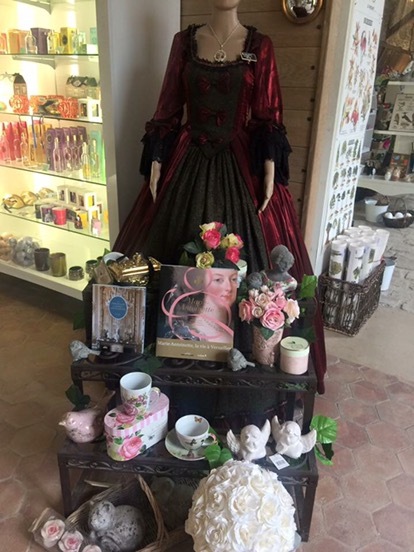 I never really got to see what this little pop up store has to offer but if you would like to experience having tea at Versailles, then it’s worth stopping by Angelina delicatessen located on the first floor of the Palace. I was still full from breakfast so I didn’t bother to drop by. Now that I’m writing about it, I kind of regret that I didn’t make an effort! I wished I tried their hot chocolate and Mont Blanc dessert. 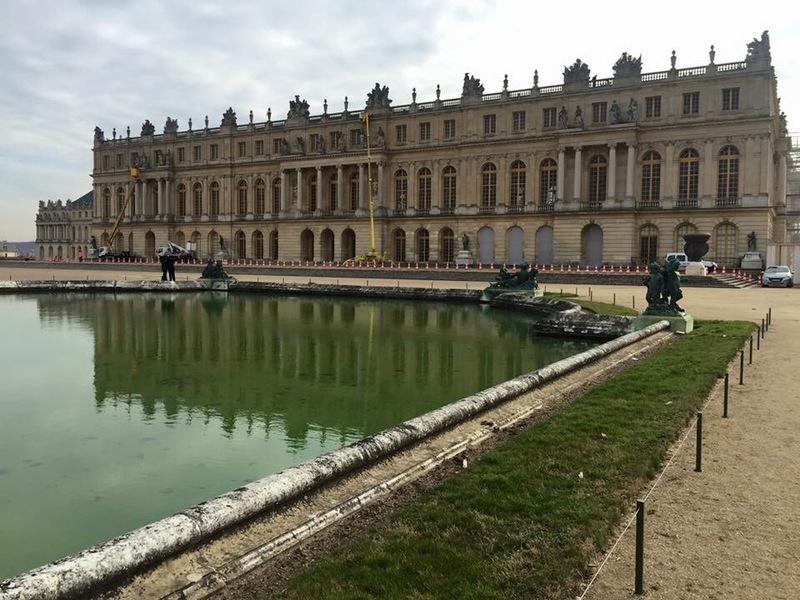 While I was there, I saw some small electric vehicles parked right outside the palace and I was told that I needed an international drivers license to drive one. 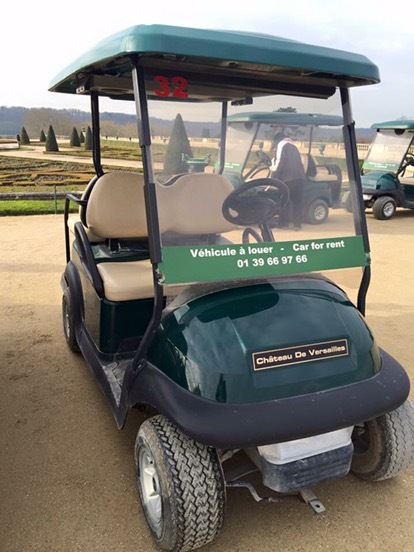 I thought they were the only means of transport to get around the massive estate, but it turns out there were guided tours on Segway, bikes, rowing boats and little trains you can take. 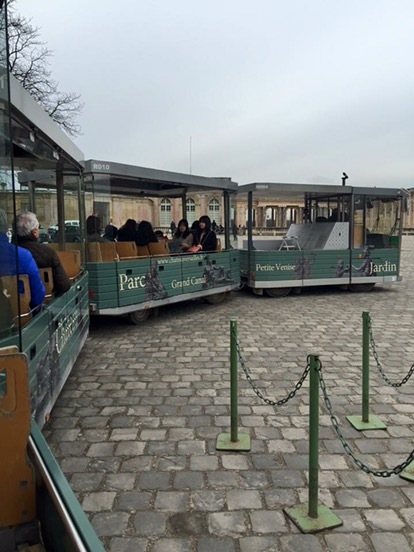 You can get on and off the little train at different stops within a single circuit. 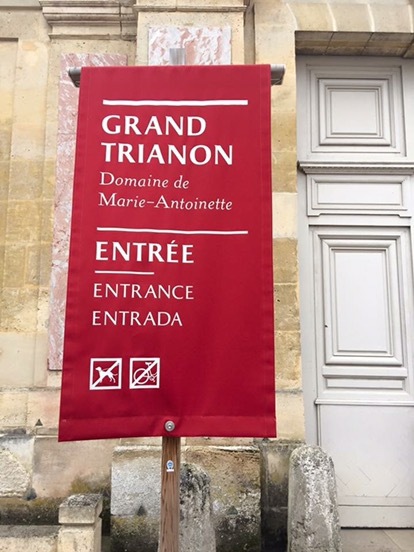 I only found out about them after my visit to the Grand Trianon. Just goes to show I really did not do much research before this trip. 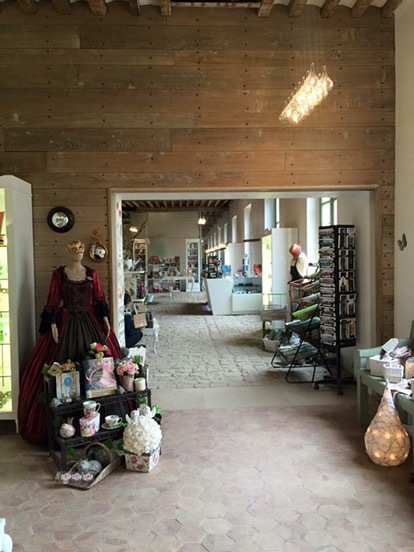 I found this little store called La Buvette du Dauphin in the heart of the gardens in the Dauphin’s Grove. 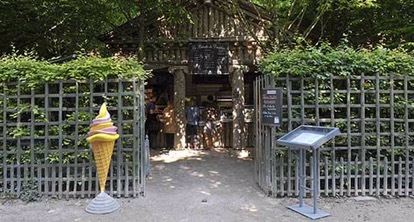 This takeaway stand offers homemade ice cream, sweet snacks like waffles, crepes and cakes and sandwiches. There were a few tables and chairs where you can rest and catch your breath. I sat outside and enjoyed a soda and a freshly made sandwich. 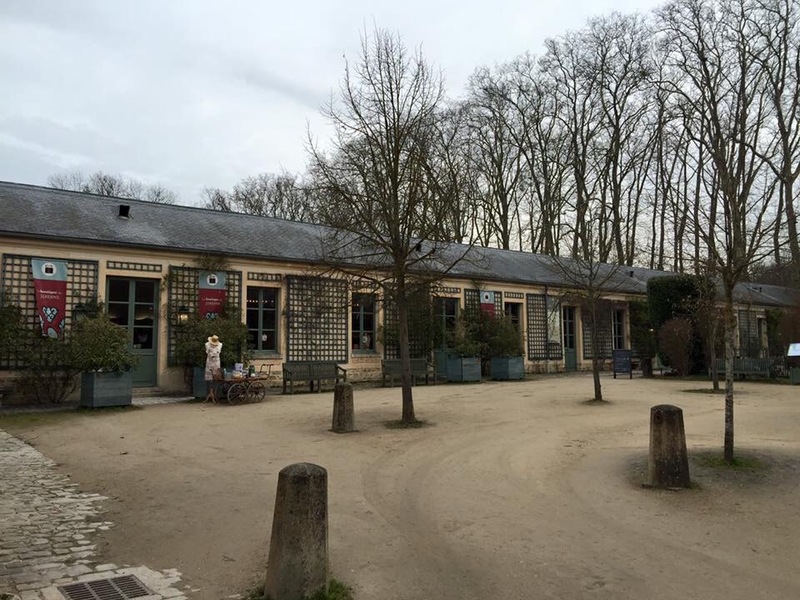 As I walk my way to the Grand Trianon, I found this shop that sells books, candles, garden tools and other things. 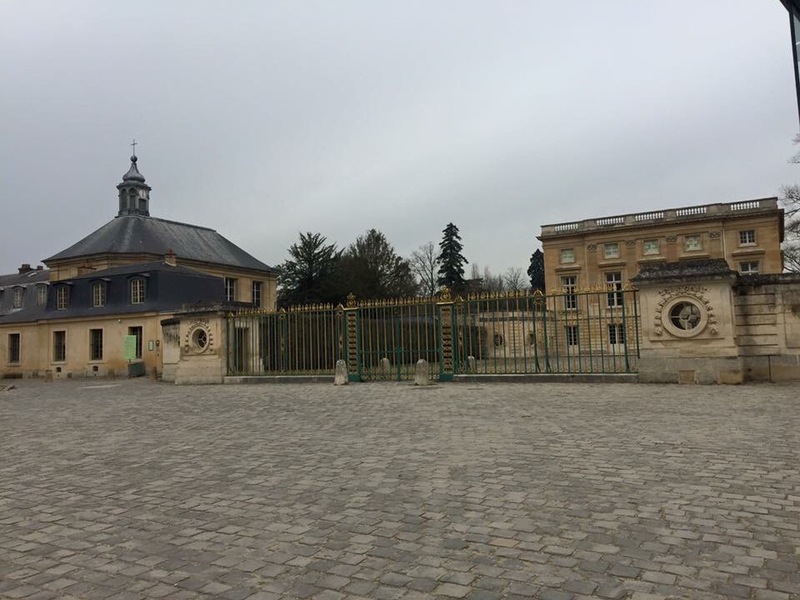 It used to be a building complex where workers in charge of the manufacturing of the Royal fleet under Louis XIV lived. 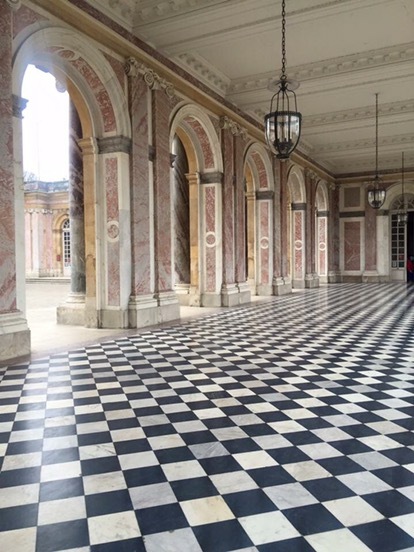 The Grand Trianon was erected by Jules Hardouin-Mansart in 1687. 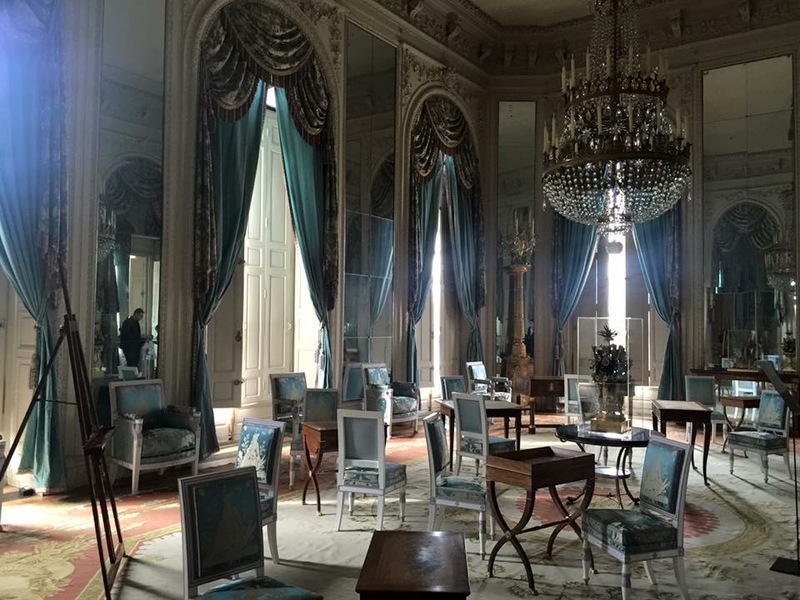 It was built as a retreat for King Louis XIV of France and his family when living in the palace was just too busy and stressful for the king. 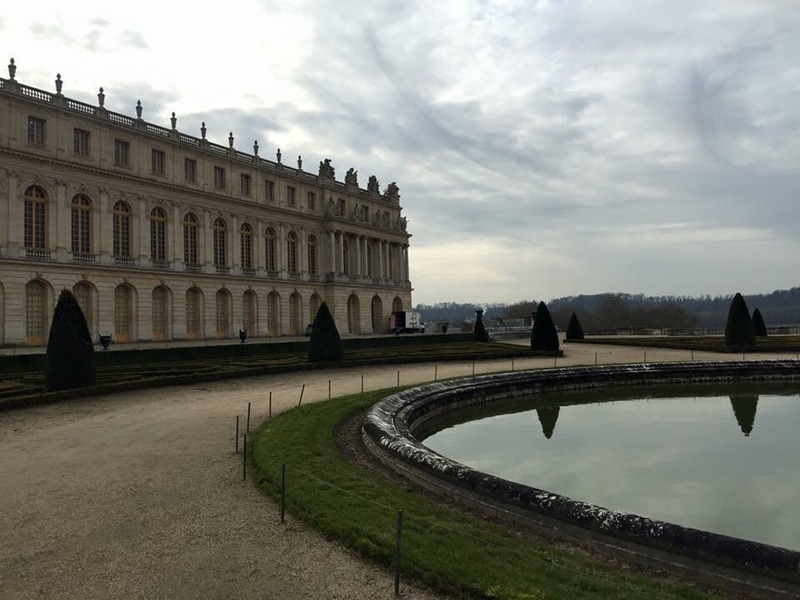 Built in pink marble and influenced by Italian architecture, it is probably the most refined and elegant construction of the Versailles estate. 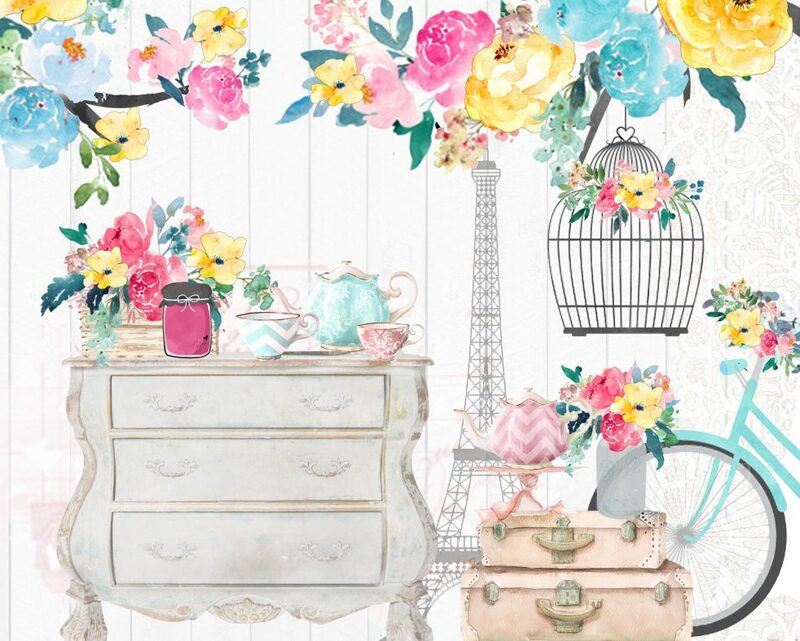 It exudes an atmosphere full of softness and intimacy. 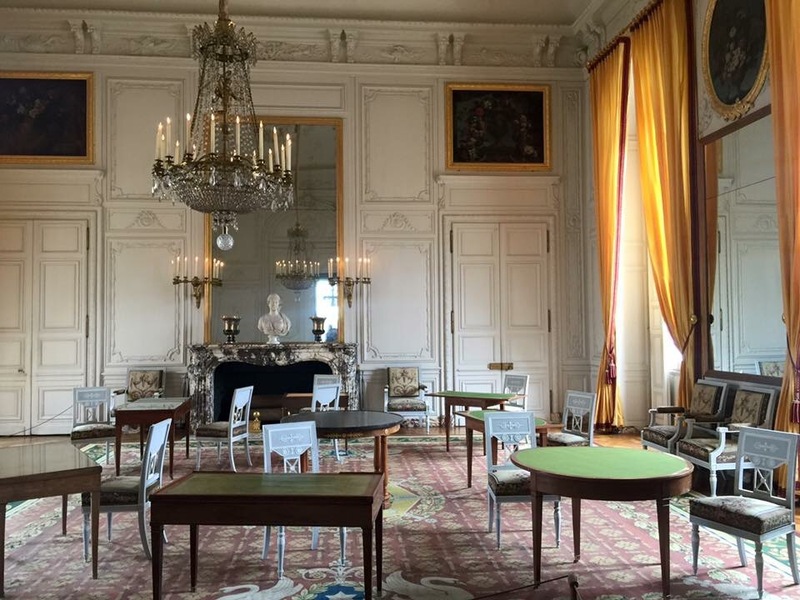 Salon des Aides de Camp. 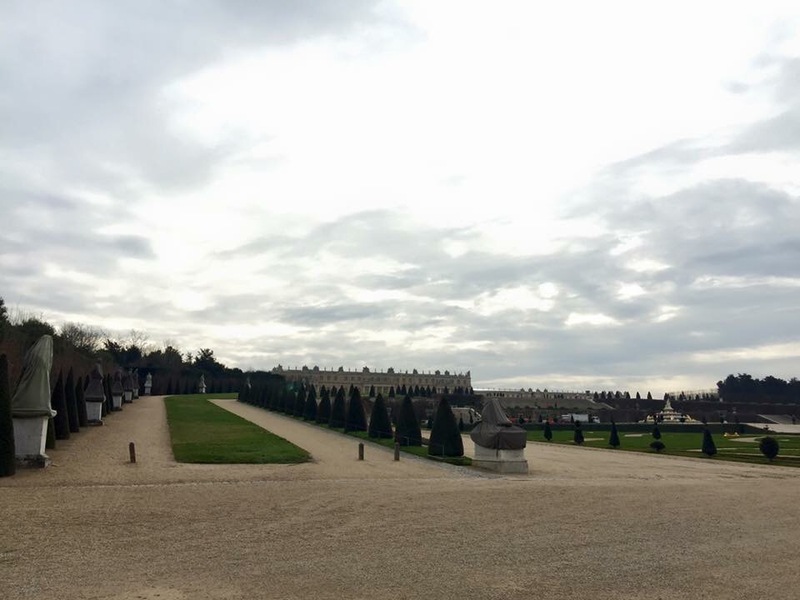 This was used for aides-de-camp during the reign of Louis-Philippe. The Mirror Room. This is the most beautiful room I have ever seen. 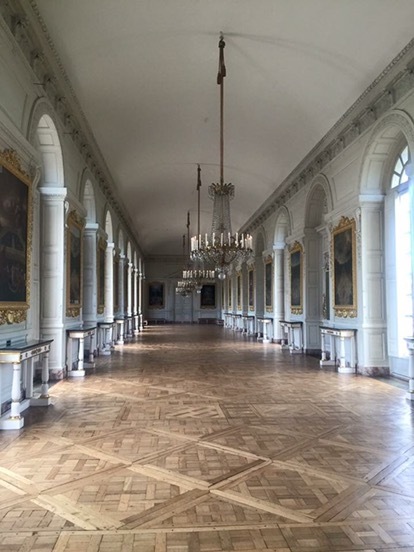 Louis XIV counted this as the last room of his private apartments while he stayed there. 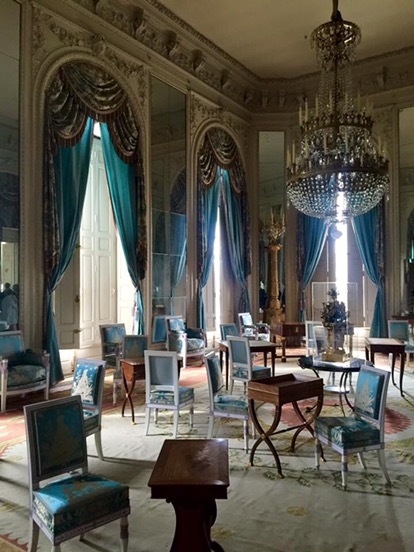 It later served as Marie-Louise’s, Napoleon’s second wife, drawing room. Boudoir of Madame Mère. 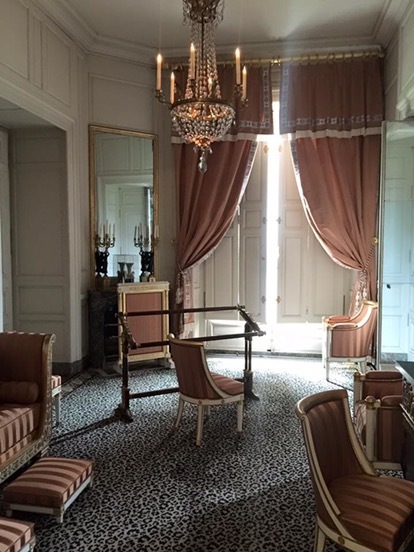 This is the boudoir of Madame Mère, Napoleon’s mother in 1805, then of Marie-Louis in 1810. 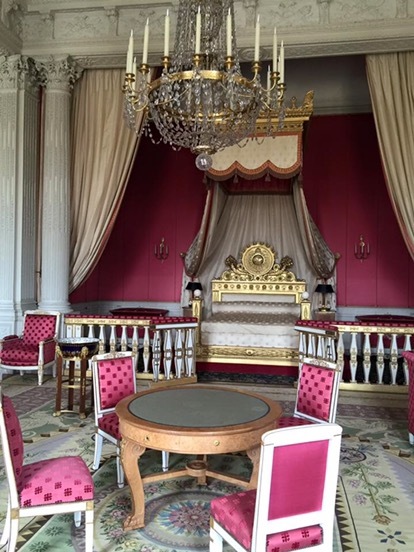 The Empress’ Bed Chamber. 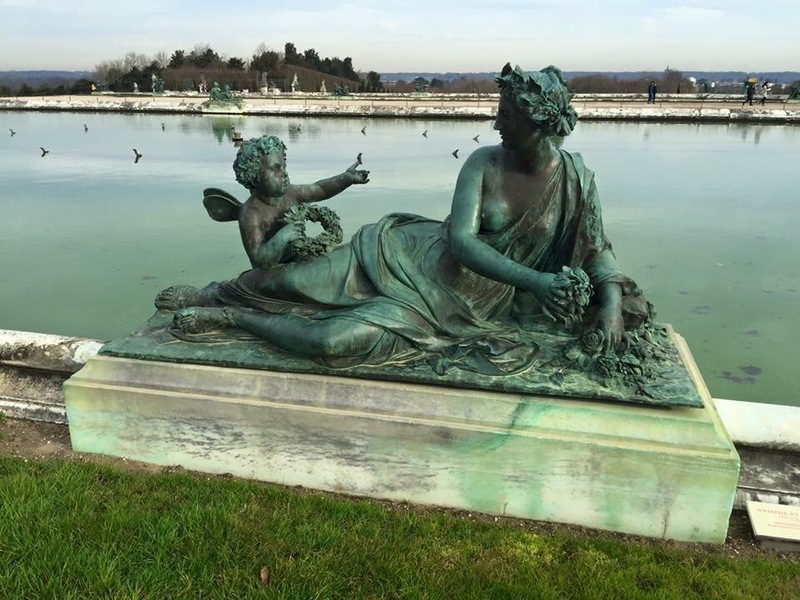 In the 19th century, it was assigned to Madame Mère, then to the Empress Marie-Louise and finally to Queen Marie-Amèlie. 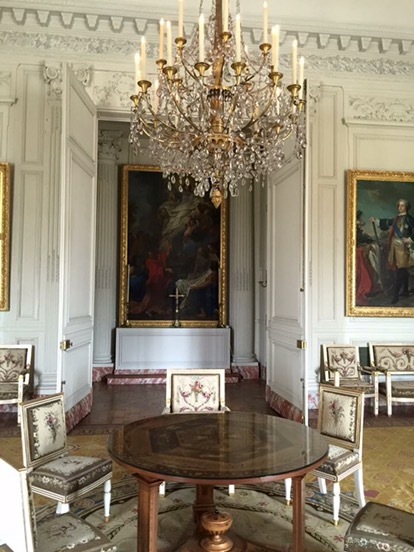 Salon de Chapel. Originally a chapel but converted in 1691 to a dining room with the altar behind the back door. 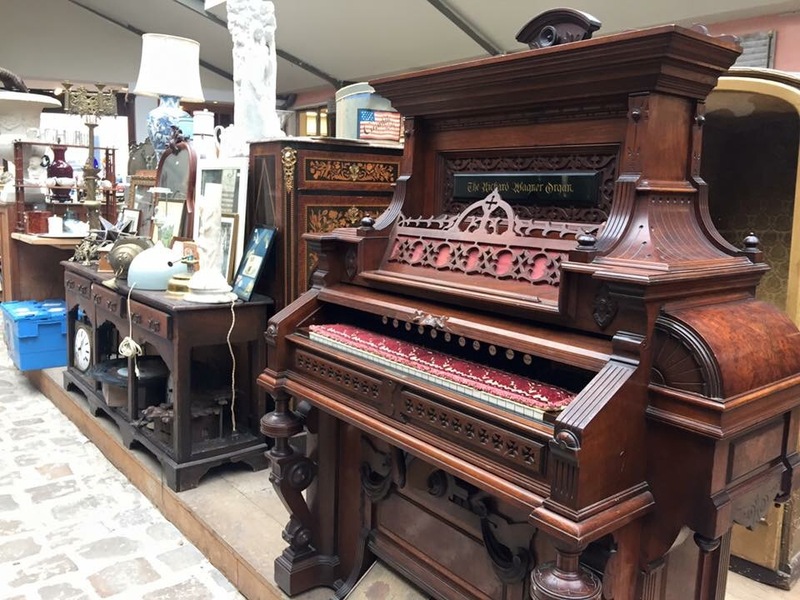 The Music Room. 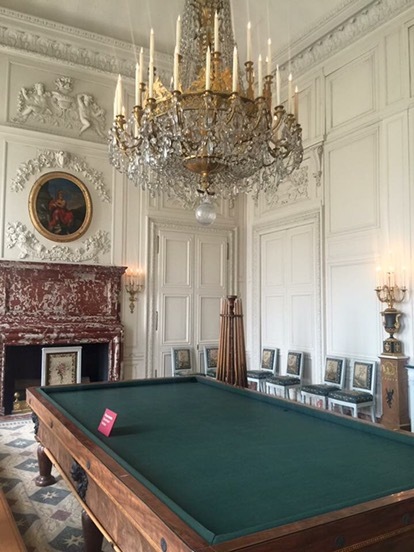 It used to host the king’s suppers but later on converted into a billiard room by Louis-Philippe. 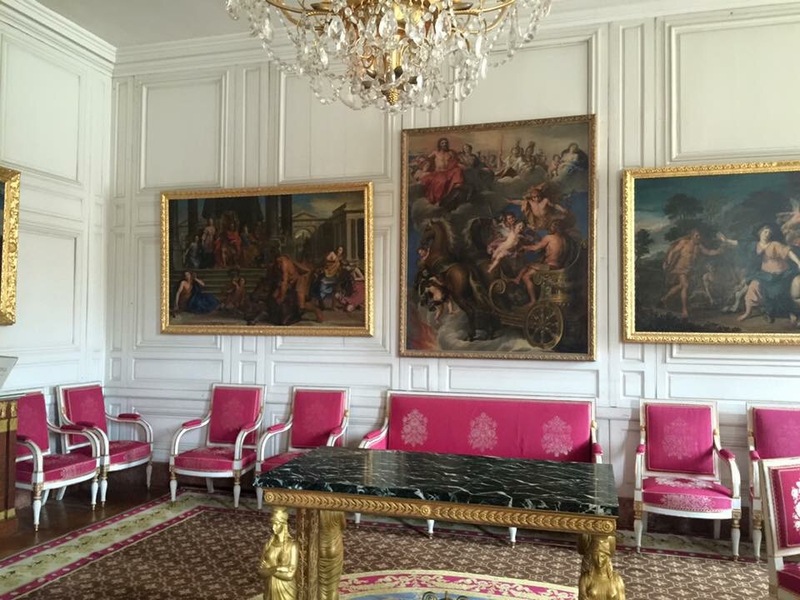 The Louise-Philippe Family Room. 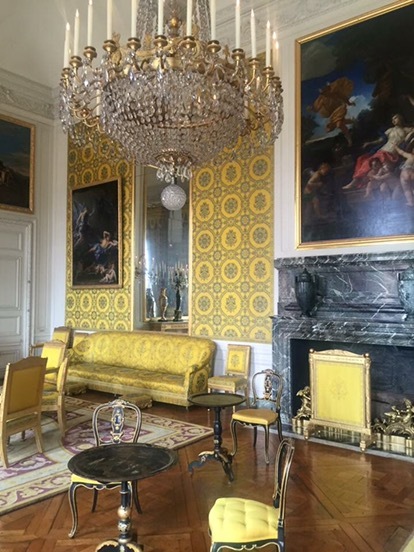 Louise Philippe had two smaller rooms opened to create this large yellow room, where he and his family gathered in the evenings. 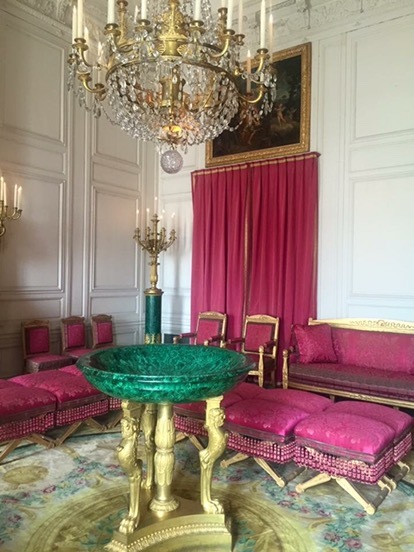 The Malachite Room. 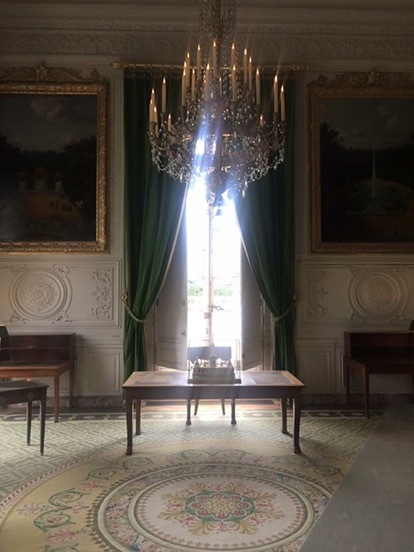 Napoleon used this space to house the malachite sculptures presented to him as a gift by Tsar Alexander I, which lent their name to the room. Cotelle Gallery. 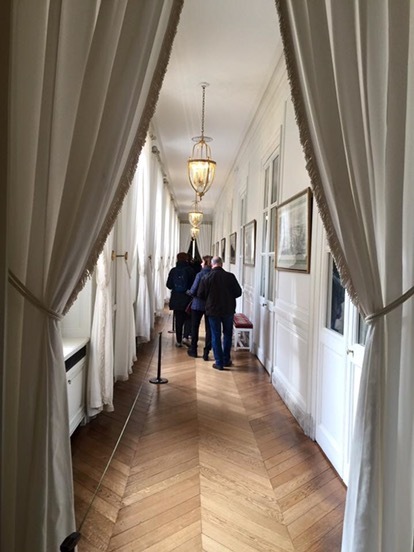 This hall kind of reminds me of the Hall of Mirrors. It was less grand, but still has its own charm. 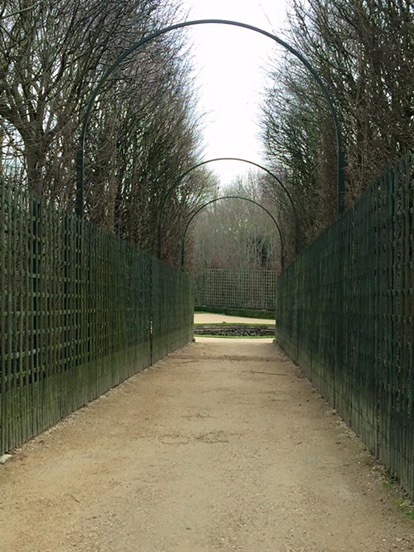 To protect the shrubs from the wind, King Louis XIV had Cotelle Gallery built. The Peristyle. 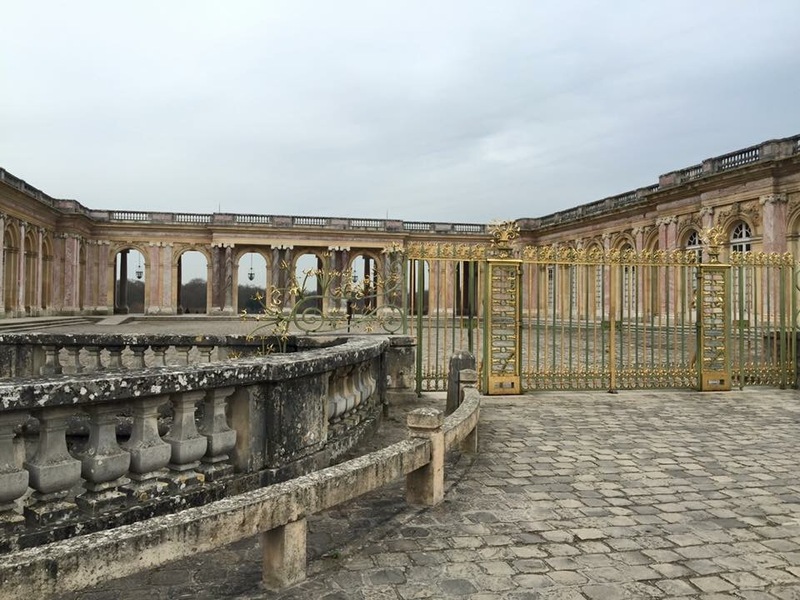 It connects the two wings of the Grand Trianon. 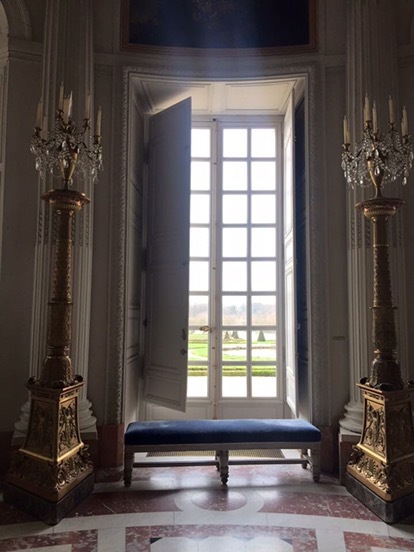 All of the Palace’s rooms looked out onto the gardens. 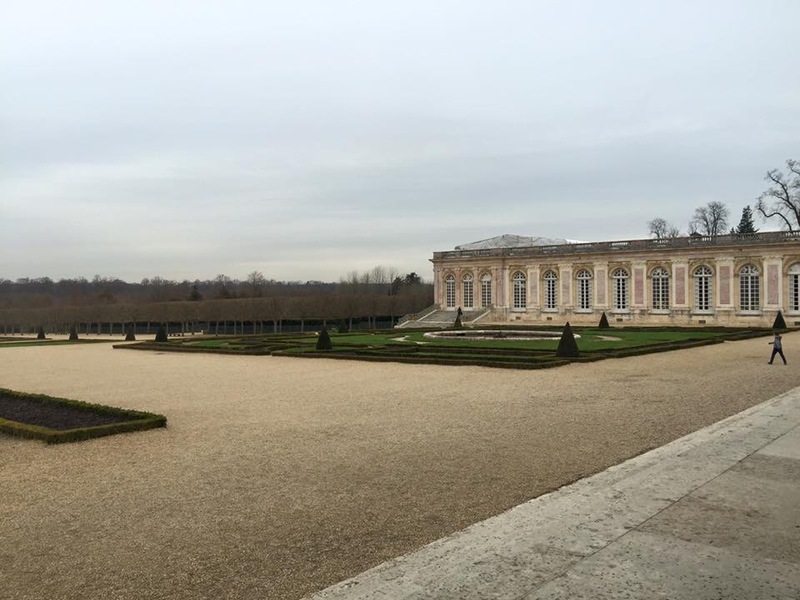 I didn’t tour the gardens of Grand Trianon because it was getting late and I was starting to get worried about the long walk back to the palace. 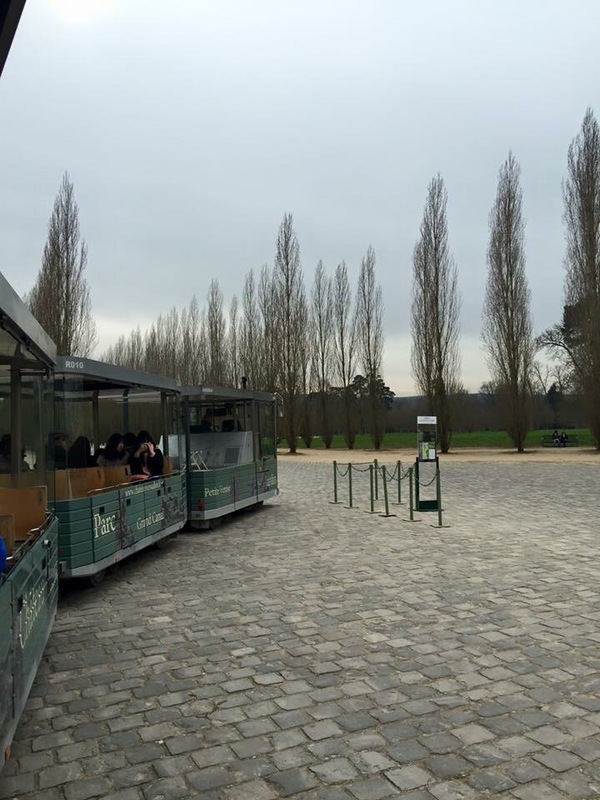 You cannot imagine how relieved I was to see this mini train waiting right outside the Grand Trianon. I immediately approached the driver to ask if it will take me back to the palace and when he said yes, I wanted to jump for joy and hug him! As the trolley began to pull away, that’s when I realized I have not visited the Queen’s Hamlet. 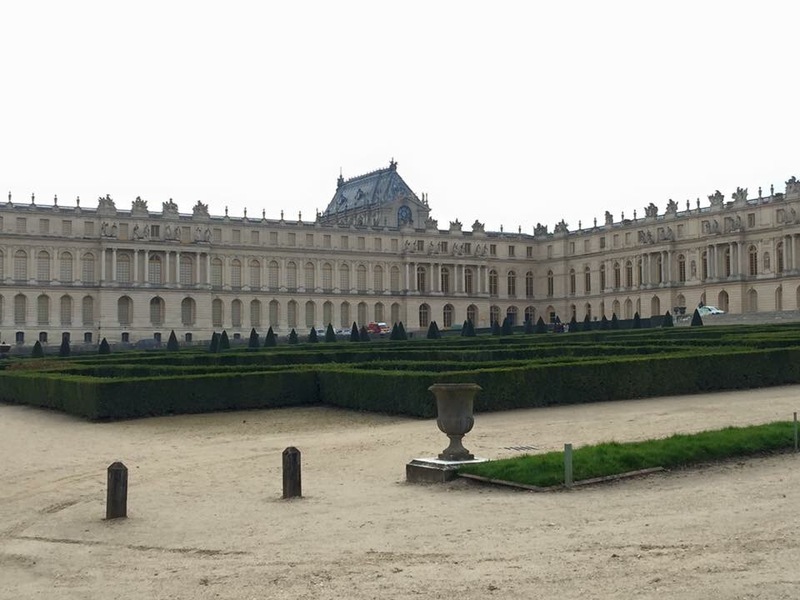 Just near the Grand Trianon, the queen of Louis XVI, Marie Antoinette, created an estate for herself. 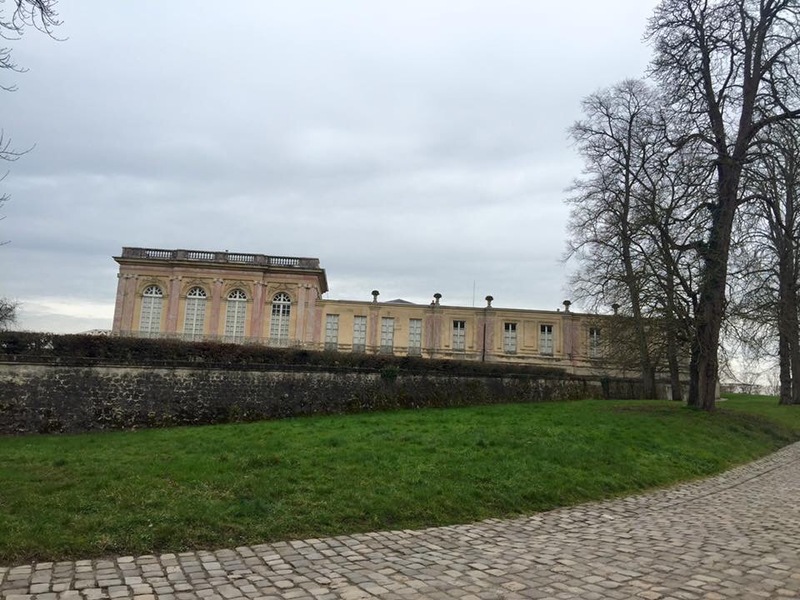 She took over a building called the “Petit Trianon” and built a number of structures including a working farm (also called the “hamlet”), which provided the palace with fresh produce, and had a nearby house and small theater. The Queen’s Hamlet is a rustic retreat of thatched-roof houses built for Marie Antoinette. 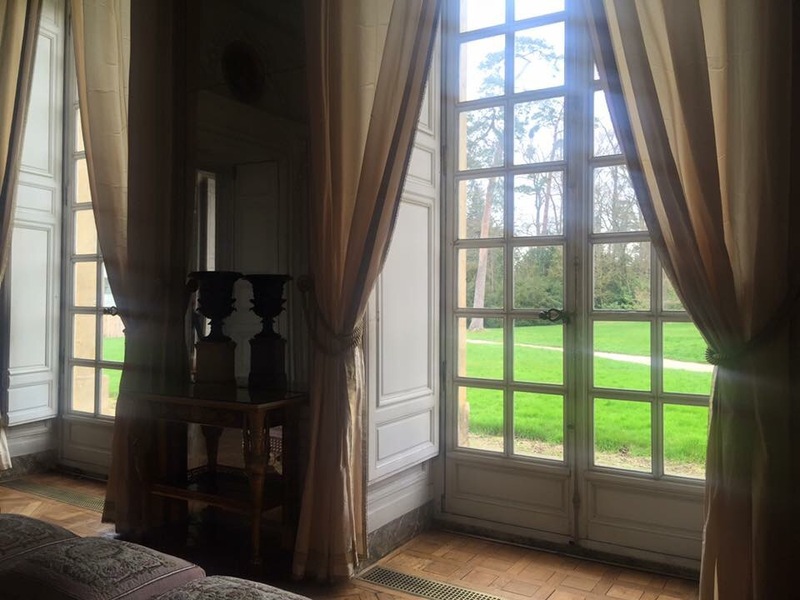 I guess this gives me all the more reason to go back and explore the rest of what the Chateau has to offer. 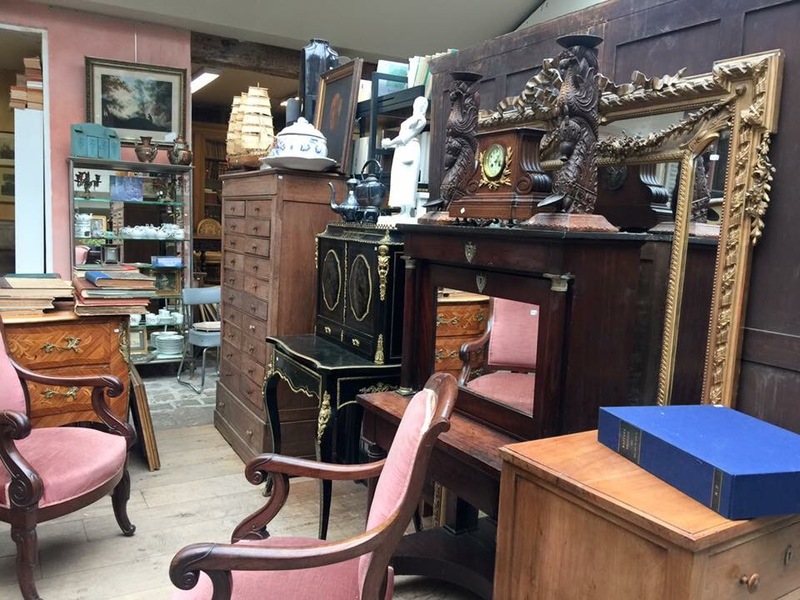 And to end my story, I passed an antique shop on my way back to the train station to meet my mother. I still can’t get over the fact that I did not purchase an heirloom set of silver flatware I found at this shop. Thinking about it just makes me cry. Thank you! I’m still kicking myself for not grabbing a montblanc or some hot choco at Angelina Cafe. I heard it’s good. 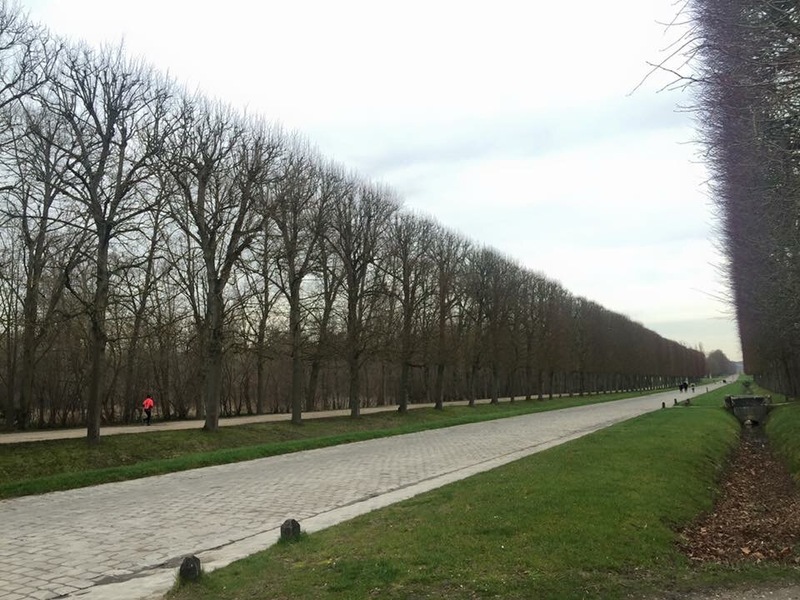 yes it is, orig in Paris then at Versailles.